One of the best and the most standard shoe storage ideas is to go with special shoe cabinet. Normally, this is one of the most space efficient ways to keep all of your shoes and boots in one place. Quite often, these cabinets have very spacious drawers and feature narrow design, which is a perfect fit even for the smallest hallway. Another very unusual suggestion is to go with wall hooks. This, however, is mostly suitable for high-heeled shoes and is totally inappropriate for high boots. In any case, you can always go with shoe storage cabinet and several hooks — this might be one of the best shoe storage ideas for a small hallway. 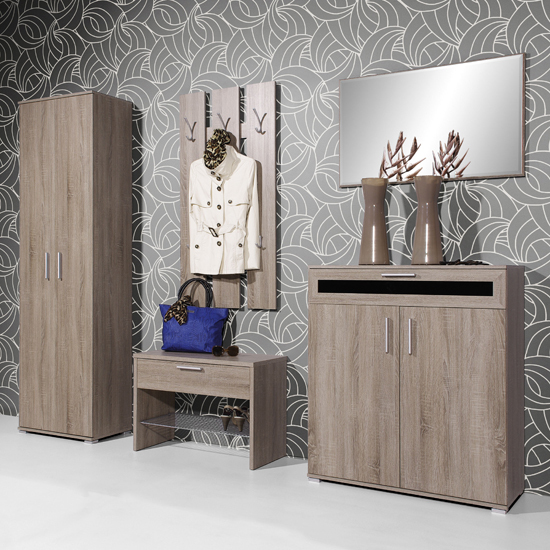 Chest of drawers is another popular example of shoe storage and hallway storage in general. Sure, this might not be the best solution for storing several different types of shoes, like high heeled and low heeled ones, boots and snickers, but if you are going to store several low heeled shoes, drawers might be a good idea. Another good idea for storing low heeled shoes is to keep them in special hallway seats with storage. Quite often, those will be either compact puffs or more or less spacious benches. 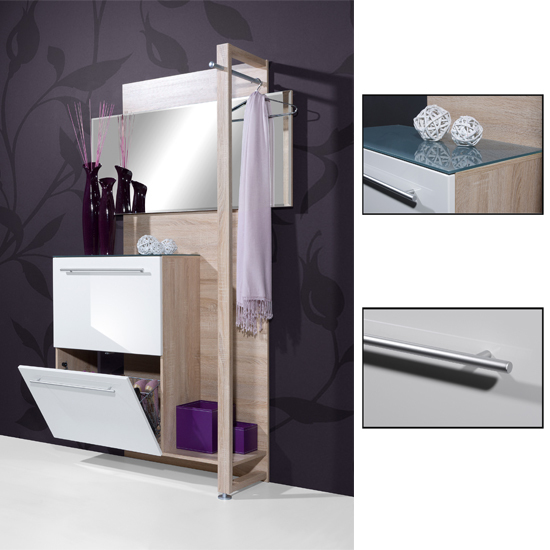 In any case, any furniture units with double functionality is an excellent idea that combines space efficiency and style. And, of course, it is always possible to go with a complete hallway collection. 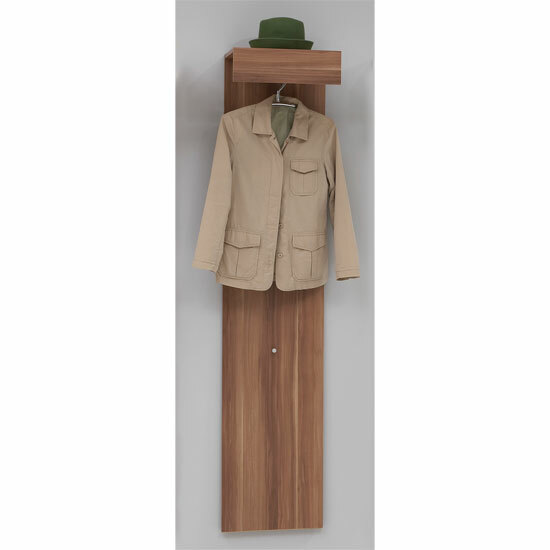 The assemblies may be very different from one manufacturer to another one; however, most of them will include some kind of a coat rack and a shoe storage cabinet. Whichever option seems the most appealing to you, it is always better to start looking in big furniture stores. First of all, the bigger the store is, the more options it can offer you to choose from. Not only will you able to choose between separate furniture items and complete collections, you will also have a chance to find the exact style that would match your interior: modern, traditional, vintage, rustic, etc. If you live in the UK, you might want to start your search with Furniture in Fashion. This is one if the biggest stores in the country, offering highest quality selection from the leading local and international manufacturers. Plus, it offers very reasonable pricing policy and quick delivery times. In addition, you are always welcome to visit company showroom in Farnworth if you would like to take a close look at the piece before buying.